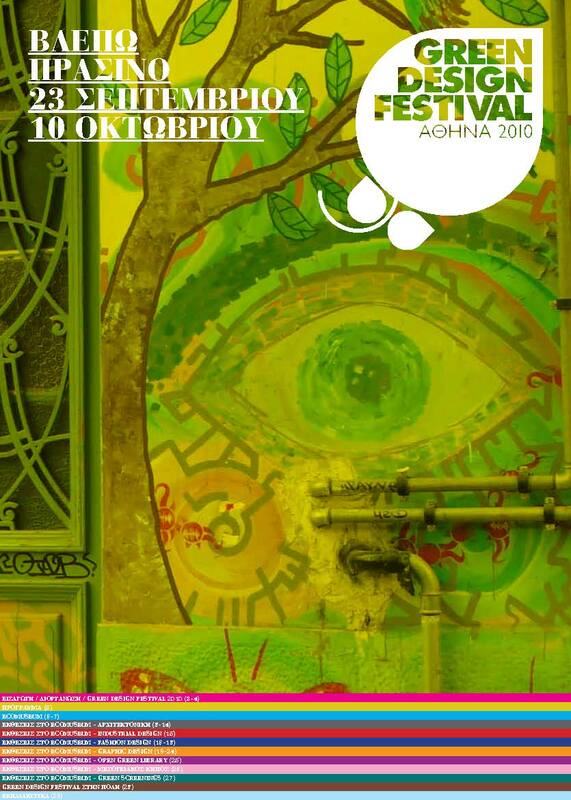 Green Design Festival, is back in Athens, two years after its first successful show. From the 23rd of September until the 10th of October, an original, open space and open to the public action will take place, under the auspice of the Municipality of Athens and the Ministry of Environment, sponsored by the Post Bank and has 150 designers from all aspects of design collaborating along with architects, curators and volunteers. Its aim is to speak about a modern way of live, environmentally friendly, thorugh design and its applications and produce environmental behaviour through its themes and proposals. Green Design Festival is organised by Brainlab, an independant non-profit and non-govermental organization. The ceter of activities is again Syntagma Square in Athens at the Eco Museum, an environmentally friendly recyclable construction which will house exhibitions, actions, events and educational programs. 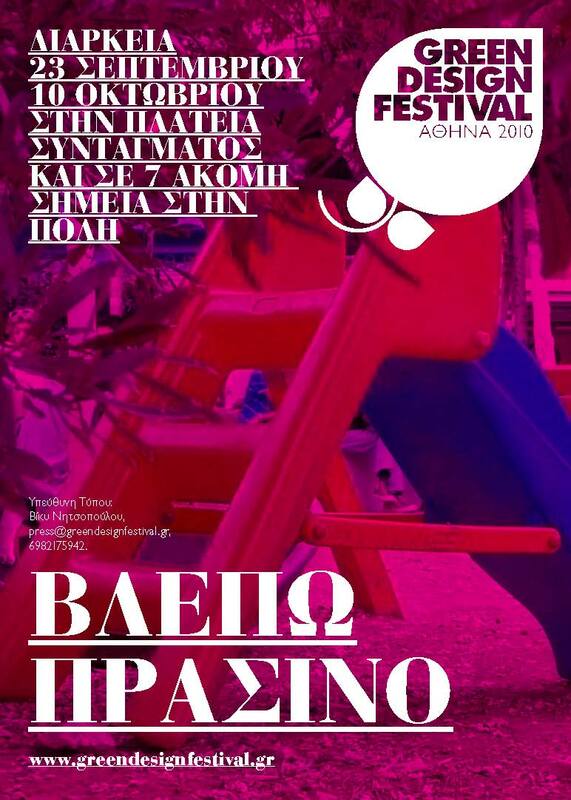 At the same time, architectural exhibitis will be at seven more central points in Athens, inviting the people to see their city in a different way. During the Green Design Festival, the city is transformed into a live interactive space of ideas and suggestions, through new technologies, of image and design. Through the various aspects of design and with a strong emphasis on the templates of sustainability (in environmental as well as in a social level), the festival speaks about the consequences of climate change, uses renewable and alternative energy sources, explores the relationship between ecological conscience and economy and focuses on an environmentallyf riendly "re-design"of our everyday life. Αν έρθεις από τα μέρη μας, κανόνισε να βρεθούμε.